Gold is yellow shining metal. Historically gold have outperformed over all other asset class and given very good returns. Gold is believed as safe heaven since ancient times. Investment in gold can be done in various forms like gold ornaments, gold bullion, gold etf etc. 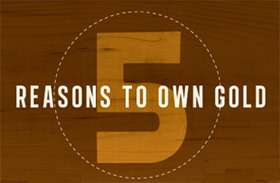 Here is 5 Best reasons to own gold. Most simple reason to own gold is to diversify portfolio. By owning different asset class and securities, an investor can limit downside risk. Gold has little or no correlation with other asset classes. Gold price is more or less depended on supply, demand and economic factors. An allocation of gold to a portfolio can help you reduce overall volatility. Gold is value for money. Throughout history, gold has always kept its value relative to other goods. 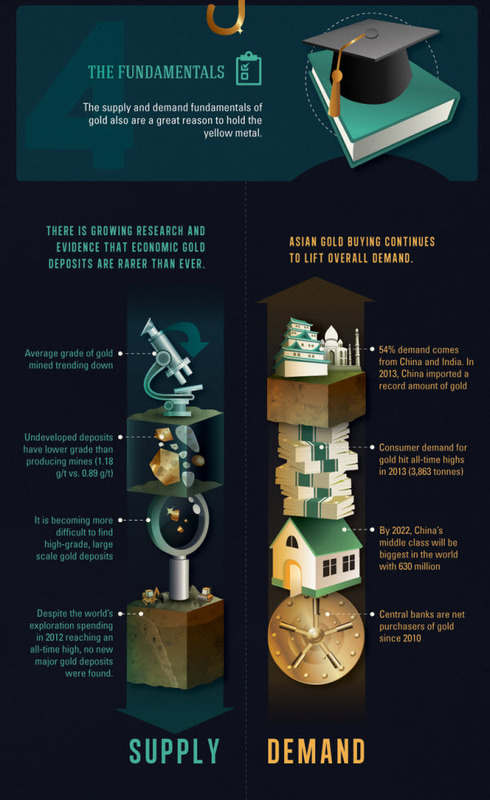 Gold carries stable demand. Gold can be used for making ornaments, fine arts etc. Gold is non perishable. Gold is unique with rare and finite supply. Gold is store of value. In times of trouble, gold is asset that will help you. Ownership of gold means purchasing insurance policy. Gold is safe haven against inflation, US dollar crisis, deflation, uncertainty, economic stress and even global political risk. So stay protected by making investment in gold. The Supply and demand fundamentals of gold also are great reason to hold the yellow metal. Supply of gold is limited, while country like India continues to buy gold which makes lift in overall demand. 54% of demand across Asia is coming from India and China. Central banks are investing in gold aggressively. One very good reason to own gold is for retirement. Gold gives you stability in purchasing power. Gold is smart investment for retirement and pension purposes. You should invest small proportion in gold for retirement. 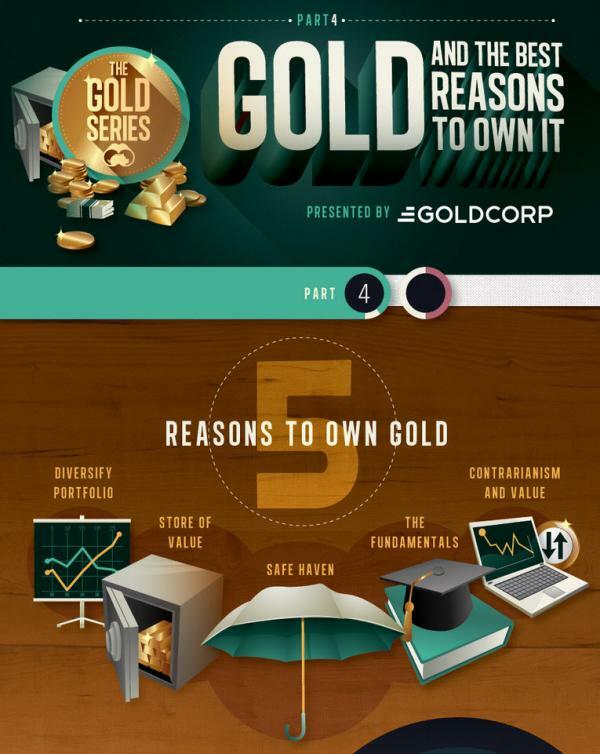 Which reason do you think is best for owning gold?